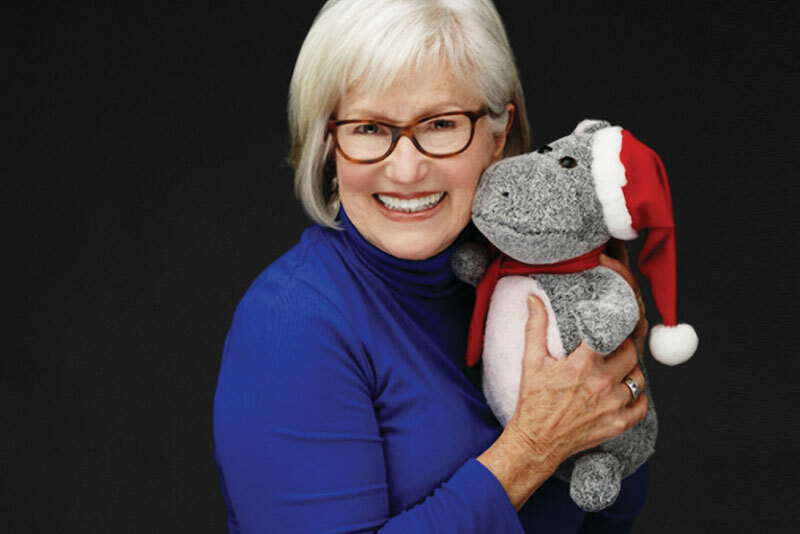 If you walk into a Hallmark store during Christmastime, chances are you’ll hear a certain hippo song from Christmas past echoing in the aisles. Back by popular demand, Hallmark’s “I want a Hippopotamus for Christmas” ornament plays this beloved tune along with countless greeting cards and merchandise. Country singers, Gretchen Wilson and LeAnn Rimes, recorded the hippo song, written by John Rox, on their recent Christmas albums. Even the United States Postal Service used the song for their 2016 Christmas ad campaign. But the Christmas hippo craze, which peaked in 1953 when “I Want a Hippopotamus for Christmas” hit No. 24 on the Billboard chart, was dormant for over fifty years. That was until “God provided me with an unexpected blessing,” says singer Gayla Peevey.